Owners of Affinity Designer can learn to design like the pros with the first ever official guidebook, now on sale. 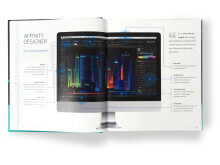 The stylish Affinity Designer Workbook, from app maker Serif, contains more than 400 pages of instructions, guides and insider tips to help anyone make the most of the software’s acclaimed speed and power. As well as learning valuable techniques, readers can follow step by step guides to make nine amazing projects, created especially for the book by leading illustrators and designers. Meanwhile tear-out ‘cheat sheets’ display the keyboard shortcuts designed for use in the different Personas, or modes, within the app. 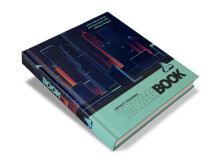 Affinity Designer Workbook (ISBN 9781909581036) is available at an introductory 20% discount price of £29.99 / 34.99€ / $39.99 (usual price £37.99 / 44.99€ / $49.99) from affinity.serif.com/designer/workbook. The English language version of the book will be followed by a German translation in the coming weeks. 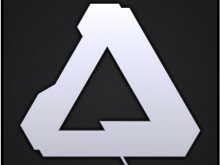 Winner of an Apple Design Award in 2015, Affinity Designer combines vector design and raster finishing naturally in one tool. Its speed, power and precision make creating art feel fun and spontaneous again, while delivering high-end results. 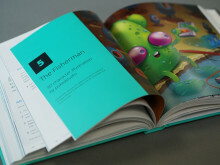 Serif Managing Director Ashley Hewson says: “We’ve been promising an official handbook for Affinity Designer for a while now and – as with our software – we’ve aimed high. “As well as covering the basic interface and core skills, we’ve enlisted the help of the very best illustrators and designers to show you how they use Affinity Designer. Guest contributors include Paolo Limoncelli, a UX/UI designer and illustrator from Italy. His contribution, entitled 'The Whittler', tells the story of a robot that lost his leg and tries to fix it using a branch from a tree he found in the forest. Over the course of 50 pages, users learn how to use both raster and vector techniques, as well as creating brushes in Affinity Designer. Paolo says: “I like illustrations that tell you a story, and leave some open questions. The tutorial shows how to utilise a subtle, painterly effect – that’s why I decided to create and customise some tools for this specific piece. “What readers of the book will find very useful in Affinity Designer is the workflow it offers for illustrations. You can use any design strategy you feel accustomed to, or experiment with new ones. 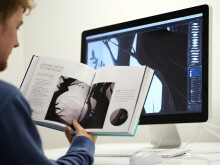 Other illustration contributions include 'The Panther', a lesson in flat vector character design by Ben The Illustrator; 'Reflected Skyline' by Romain Trystram, which demonstrates the use of dramatic light and reflections; Kevin House’s isometric illustrations in 'Wine Cellar'; and 'The Fisherman', a 3D illustration by Jonathan Ball, aka pokedstudio. 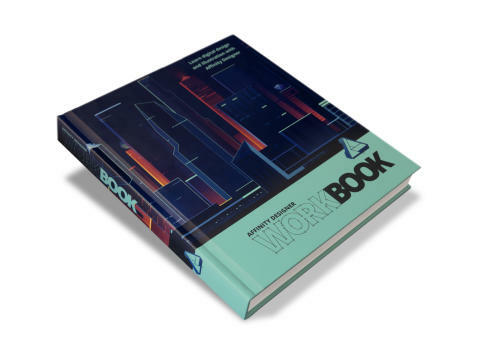 Affinity Designer Workbook also includes four design projects for readers to follow, teaching brand and logo design, designing for print, UI and apps. They are contributed by Tom Koszyk – founder and creative lead at Hologram Design in Warsaw – and Affinity’s own Creative Director Neil Ladkin. 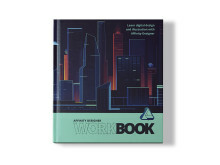 Copies of Affinity Designer Workbook are available on request, for review or for use as prizes.